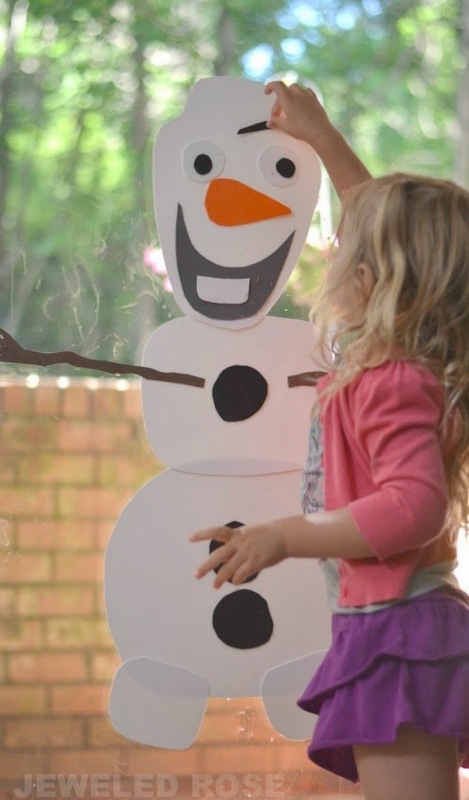 Rosie and Jewel loved the build a snowman toy I made for them over the Winter. 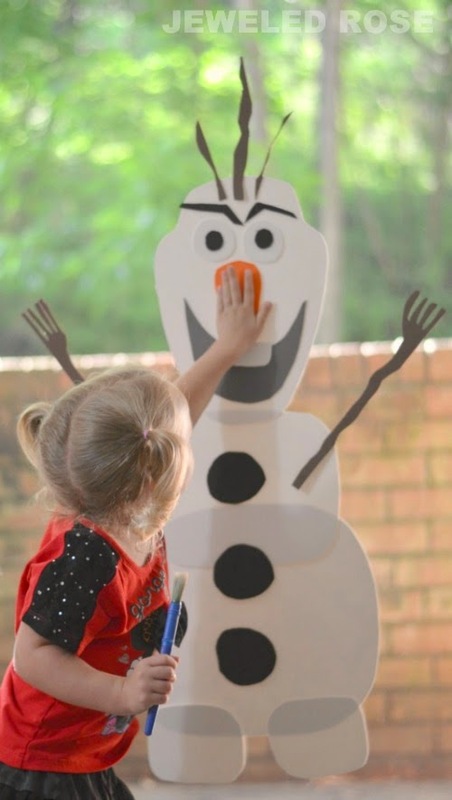 With how much they love Disney's Frozen right now I wanted to create a new build-a-snowman kit that looked just like Olaf. 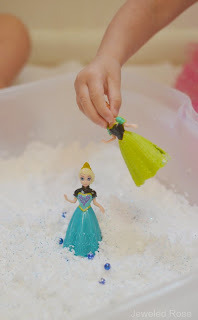 The girls have had so much fun with this simple toy, and you won't believe how easy & inexpensive it was to make! 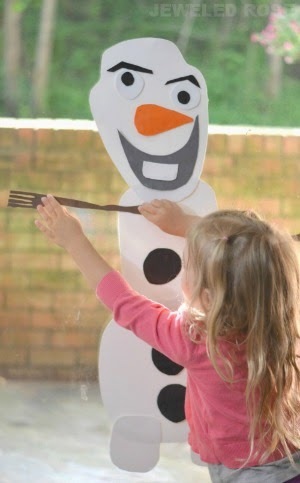 This easy to make toy allows kids to build Olaf over & over again. 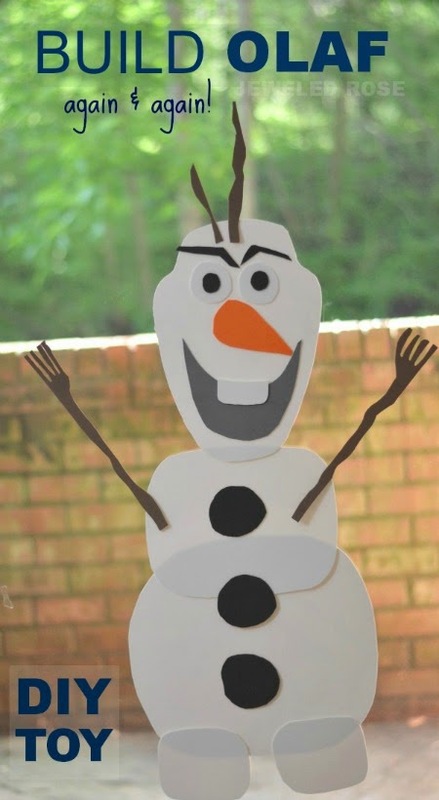 You only need a few materials to make this reusable Olaf kit, too. 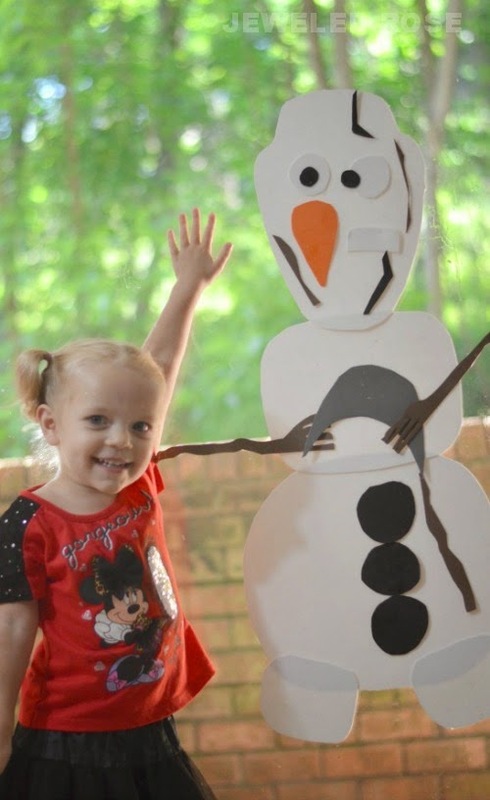 All you need to make this Build Olaf kit is craft foam and scissors. We bought all the craft foam needed at Walmart for just a few dollars. You can also get large craft foam sheets online here and here. Cutting Olaf from the foam was surprisingly easy. We just looked at a photo of him while cutting the needed shapes from varying colors of craft foam. 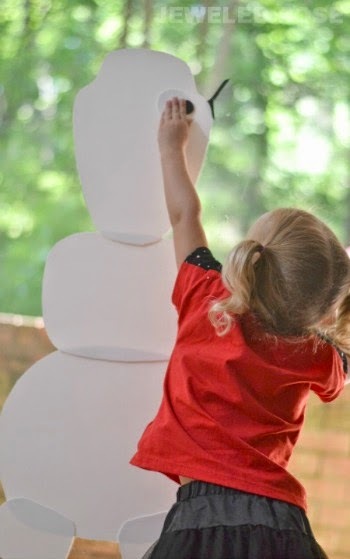 We used three large white pieces of foam to make Olaf's body, head, teeth, eyes, and legs. We cut his arms and hair from a large brown piece of foam. His buttons and pupils were cut from black craft foam, and his smile was cut from a grey piece of foam. You might find it helpful to use the below photo as a guide when cutting the shapes. 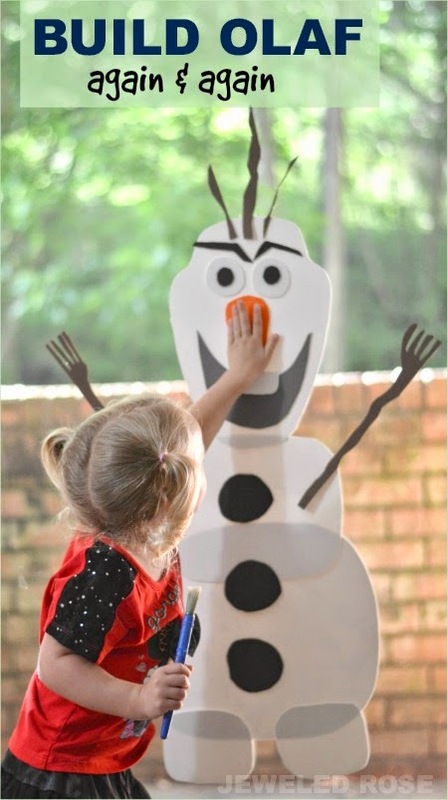 Once all the pieces are cut you will have an adorable Olaf that kids can build again and again. 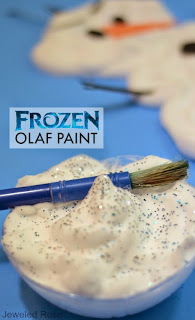 To let the fun begin give your children a bowl of water with a couple of paint brushes. This works because craft foam magically sticks to itself and to walls and windows when wet. 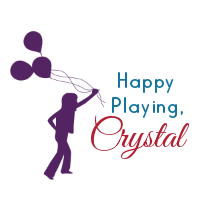 Kids can stick & re-stick the pieces over & over again! They have really gotten creative with this toy, too. 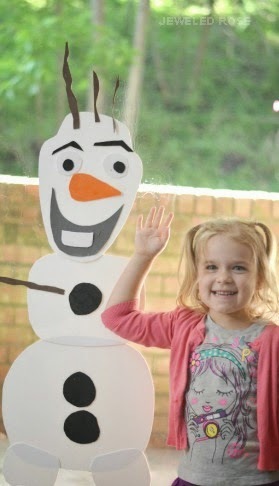 Olaf looks different each time they build him. Rosie and Jewel love their Olaf so much that I filled a spray bottle with water so that we could leave this activity set up at all times. 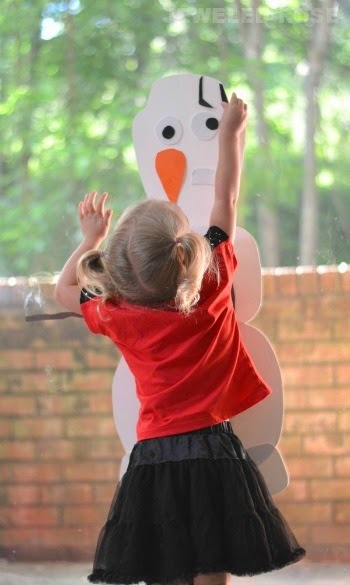 Whenever they feel like building Olaf they can go over to our glass patio door, spray the foam pieces, and the fun can begin!